Tom Gorham has written up a review of Studiometry 5 in the October issue of MacUser. Many Mac OS X setups are encountering strange behaviors with Studiometry 5.x when attempting to Generate to a PDF from the Apple Print dialog within Studiometry. The issue occurs when selecting the PDF button in the Print dialog, but not when selecting export to PDF via other methods such as a in the preview of a code based Invoice or Report. If you encounter issues, you can currently get around this by simply pressing the “Preview” button next to the PDF button to open the printable content in Apple’s Preview application. 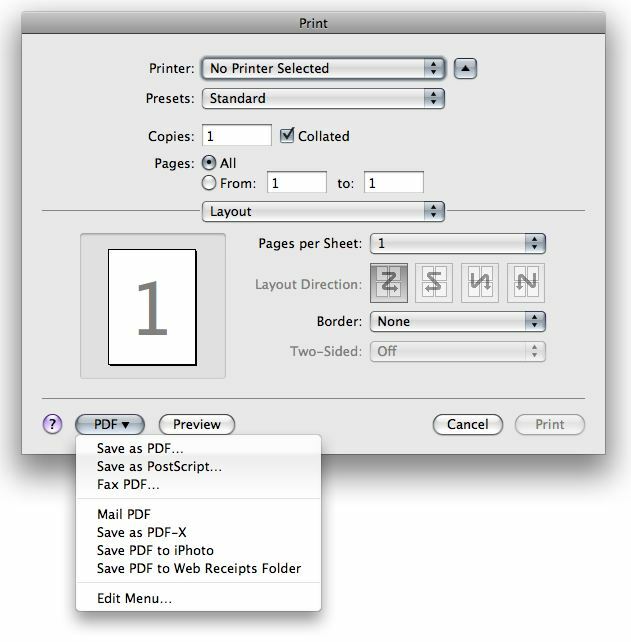 You can then easily use the print window within Apple Preview to generate a PDF or use any of the other functions. We have not encountered in our testing nor have we had any reports of the print window itself having any issues, as the only issues observed have been related to the PDF button within the print window in Studiometry. We are still working very hard on this issue and hope to have it resolved soon. Even though there is a simple workaround, the extra click to open the content in Preview can become annoying fast when creating multiple PDFs. Studiometry 5.0.5 has several important bug fixes, and also re-enables the Status Item after rigorous testing on many machines. If you encounter any errors you think may be related to the status item, simply hold the open key on launch to temporarily disable the status item. This update also includes a few other minor changes and updates put in before the upcoming Studiometry 5.1. Accounted is a powerful bookkeeping solution with many of the features seen in more expensive programs, but with the ease of use of a much smaller application. Powerful features such as double entry accounting, accounts receivable/payable, split transactions, and check printing are included. Accounted 1.0.2, a free update for registered Accounted 1.x users, adds complete Leopard compatibility. This update also adds new features in the charts window, several interface tweaks, and fixes a few small issues. Accounted 1.0 is now available for download and purchase. Accounted is currently available for purchase at a discounted introductory price rate. Be sure to take advantage of the deal while it lasts!